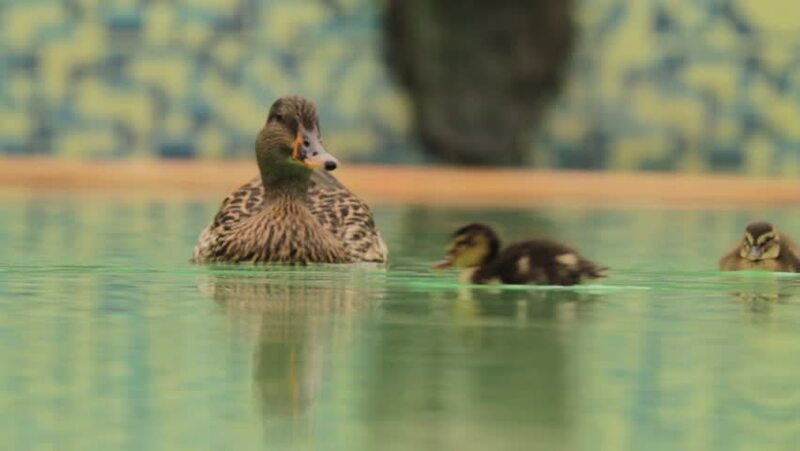 Yellow-billed ducklings and their mother in an urban pool. The Yellow-billed duck (Anas undulata) is a dabbling duck which is not migratory and resident of Southern and Eastern Africa. 4k00:14A female mallard duck is warming in the sun while resting on a log / Galovac Lake, Plitvice Lakes National Park, Croatia. Shot with RED Weapon Helium 8K camera.